The majority of elective facial plastic surgery procedures in the United States are performed by Facial Plastic Surgeons. Facial Plastic Surgeons typically spend five to seven years in postgraduate surgical training following completion their medical degree. This includes one to two years of study in General Surgery, four years of subspecialty training in Head and Neck Surgery, followed by an additional year of fellowship training specifically in Facial Plastic & Reconstructive Surgery. This intensive training focuses exclusively on the complex anatomy, physiology, and pathology of the Head & Neck region. Facial Plastic Surgeons are uniquely qualified to treat this region of the human body. Few physicians have the depth of training and expertise in the Head & Neck required to identify themselves as a Facial Plastic Surgeon. Facial Plastic Surgeons are typically double board certified/eligible in both Otolaryngology/Head & Neck Surgery and Facial Plastic & Reconstructive Surgery. 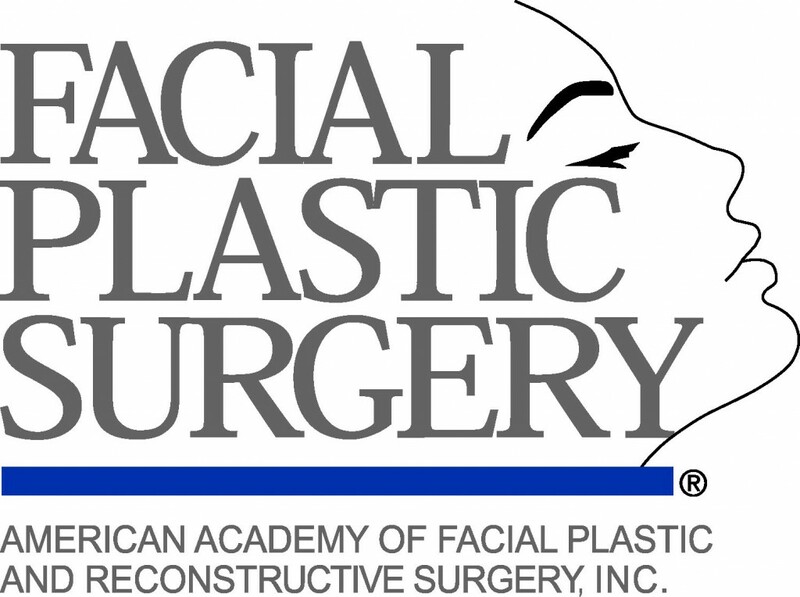 The world’s largest association of Facial Plastic & Reconstructive Surgeons is the American Academy of Facial Plastic and Reconstructive Surgery (AAFPRS - www.aafprs.org). The Academy’s bylaws require fellows to be board certified surgeons with experience and training in Facial Plastic Surgery. Dr. Robert Hillstrom is Board-certified by both the American Board of Otolaryngology (www.aboto.org) and the American Board of Facial Plastic and Reconstructive Surgery (www.abfprs.org). Dr. Harry Wright is Board-certified by the American Board of Otolaryngology and Board eligible by the American Board of Facial Plastic & Reconstructive Surgery. It is this strict and rigorous training and certification process that guarantees any physician who identifies him/herself as a board certified Facial Plastic Surgeon is uniquely qualified to meet your needs. How does reconstructive plastic surgery differ from cosmetic plastic surgery? When you choose to change your appearance for purely aesthetic reasons, your procedure is considered cosmetic. Aesthetic procedures such as facelift, browlift, or rhinoplasty performed for cosmetic reasons are usually performed in our fully-accredited in-office Operating Suite. Plastic surgery performed to repair damage from injury, cancer, or disease is classified as reconstructive. At Hillstrom Facial Plastic Surgery, Dr. Hillstrom and Dr. Wright perform procedures for both reconstructive and cosmetic reasons. Facial reconstructive surgery is frequently performed at a facility such as Manatee Surgical Center, Blake Medical Center, or Lakewood Ranch Medical Center to repair areas where cancer has been or needs to be removed, or where an injury has occurred. Am I a candidate for Facial Plastic Surgery? Most physically and emotionally healthy adults are excellent candidates for Facial Plastic Surgery. The chances of a successful outcome are best if a patient has a legitimate reason for desiring surgery and has realistic expectations about the outcome of the treatment. During your consultation with Dr. Hillstrom or Dr. Wright, the physician will examine you and assess your overall health including your medical history. Additionally, Dr. Hillstrom or Dr. Wright will address any concerns that you may have about Facial Plastic Surgery. This information is essential to determine which cosmetic procedure are most appropriate and effective in accomplishing your aesthetic goals. What is the best age to have Facial Plastic Surgery? The best age for Facial Plastic Surgery varies with each specific procedure and for each individual patient. In general there are no specific age requirements. For example, Otoplasty (ear surgery) is often performed on children between the ages of 4 and 14, but adults may also choose to have the surgery and are frequently excellent surgical candidates. Facelift, blepharoplasty, and browlift procedures are most often performed on patients over the age of 40. However, if a younger patient has droopy eyelids, or a patient has a family history of premature facial aging, a cosmetic procedure may be indicated at an earlier age. While it is ideal to have a facelift when the first signs of aging begin to appear to achieve optimal results, patients often delay consultation until the distractions of aged appearance become particularly bothersome. During your consultation, Dr. Hillstrom or Dr. Wright will determine which procedure will best accomplish your desired outcome. What will recovery be like following my facial procedure? 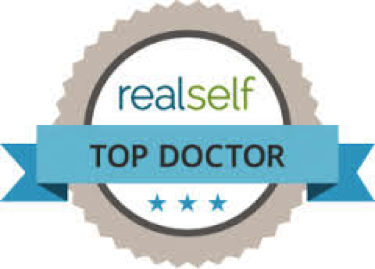 Recovery time varies widely depending on the specific type of cosmetic procedure you choose. The majority of our medical spa treatments have little to no downtime, and patients are able to immediately return to work and their regular routine. 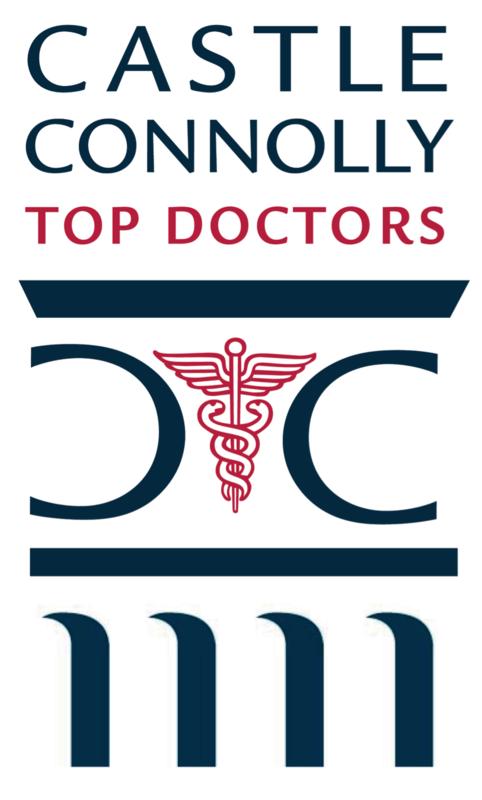 Our more extensive surgical procedures typically require more recovery time. During your initial consultation, Dr. Hillstrom or Dr. Wright will discuss the expected recovery time for the specific treatment or procedure you choose and how it may affect your routine and lifestyle. After Rhinoplasty, a thin plastic cast is placed over the bridge of the nose and left on for three to five days. Unlike some other Rhinoplasty surgeons, Dr. Hillstrom and Dr. Wright do not routinely pack the nose after surgery. This allows the vast majority of our Rhinoplasty patients to breathe through their nose postoperatively, creating a significantly more comfortable postoperative period. Rhinoplasty patients at Hillstrom Facial Plastic Surgery are typically able to return to their normal routine a short while after surgery. It is recommended that patients sit upright to keep their head elevated for the first day after surgery to minimize any swelling or discomfort that may occur. A small amount of oozing is common after surgery and many patients may experience a dull headache. A small amount of bruising may occur beneath the eyes, but this usually resolves within the first two weeks. Sutures placed on both the inside and outside of the nose dissolve on their own and rarely require removal. The majority of any facial swelling usually improves within the first few days to weeks after surgery. However, a small amount of residual swelling in the nose may persist for many months after surgery, especially at the nasal tip. The improved appearance of the nose by rhinoplasty is permanent and scarring is generally minimal. To schedule a consultation with Dr. Hillstrom or Dr. Wright, or for more information about Rhinoplasty, please contact our office. Will my insurance company cover the cost of facial plastic or reconstructive surgery? Typically insurance companies do not cover plastic surgery that is performed for purely cosmetic reasons. Some insurance policies may partially or fully cover reconstructive surgery procedures that are deemed “medically necessary.” For example, Functional Rhinoplasty performed to correct a nasal breathing problem is usually covered by insurance. Dr. Hillstrom and Dr. Wright can help in clarifying this distinction for you. We will also help you to consult your insurance provider and policy for details on what is and is not covered on your particular plan. What non-surgical alternatives to facial plastic surgery are available? If you would like to restore a healthy, more youthful appearance to your face but are not ready for a surgical procedure, there are a variety of treatments available to you. BOTOX® Cosmetic is one of the most effective non-surgical treatments available to reduce the appearance of facial lines and wrinkles. Furthermore, volume replacement fillers such as Juvéderm™, Restylane®, and Perlane® can be used to soften and fill in facial folds and wrinkles. These products can also be used to augment the cheeks, giving the appearance of a midface lift. They can fill in the smile lines from the nose to the corner of the mouth as well as the depressions in front of the jowls to give the appearance of a “non-surgical facelift”. The results from wrinkle fillers typically last 6 to 24 months, depending on the anatomic location in which it is placed and the particular filler used. In our Skin Care Center we offer treatments such as skin resurfacing with microdermabrasion and chemical peels, facials, Hydrofacials, Intense Pulsed Light therapy, and medical grade skin care products to give your face a healthy, more youthful appearance. In addition to these facial treatments, Hillstrom Facial Plastic Surgery also offers treatments for the body including laser hair removal. Hyaluronic acid is a natural complex sugar found throughout all living organisms that retain water -- absorbing more than 1,000 times its weight -- and adds volume to the skin’s surface. In addition, hyaluronic acid binds with collagen and elastin and transports essential nutrients to these fibers. The triple combination of collagen, elastin and hyaluronic acid provides structure, elasticity and volume to the skin and contributes to its overall appearance. As the skin ages the cells lose the ability to produce hyaluronic acid. As a result the skin loses volume, often resulting in facial wrinkles and folds. Dermal fillers made from crossed-linked hyaluronic acid are used by surgeons to restore skin volume and a smooth, natural appearance. How do Perlane and Restylane work? Perlane® is injected into the skin to smooth away wrinkles and folds. Perlane®’s water-loving nature attracts and binds water molecules present in the skin to help maintain volume. Perlane® is composed of hyaluronic acid, a natural substance that already exists in the body. The hyaluronic acid in Perlane® is a crystal clear gel that is chemically cross-linked (the long chemical strands are tied together) to delay breakdown by natural skin enzymes. Perlane® is non-animal-based and contains no animal protein. Allergy pre-testing is not necessary. Restylane and Perlane are minimally cross-linked, making them similar to the natural hyaluronic acid found in the body. What is the history of Hyaluronic Acid? In the decades since numerous therapeutic and aesthetic uses have been developed for this versatile substance. In 2003, the U.S. Food and Drug Administration (FDA) approved the first hyaluronic acid dermal filler for the correction of facial wrinkles and folds, such as nasolabial folds (the folds running from the sides of the bottom of the nose to the outer corners of the mouth, also known as “laugh lines”). Today, hyaluronic acid-based dermal fillers are the fastest growing non-invasive aesthetic procedure in the United States, according to the American Society for Aesthetic Plastic Surgery. How is Perlane different from Restylane? Perlane and Restylane are both composed of a compound naturally present in the human body called hyaluronic acid. The primary difference between Restylane and Perlane is the hyaluronic acid gel particles in Perlane are larger than those found in Restylane. This affords Perlane the ability to lift and fill the areas of injection that require a denser formulation. Perlane and Restylane are excellent complements to one another (e.g., the lip and the white and red lip junction, anatomically called the Vermilion Border). How do I find out more about Facial Plastic Surgery and Reconstructive Surgery at Hillstrom Facial Plastic Surgery in Sarasota? If you would like to learn more about facial plastic surgery and reconstructive surgery, or our skincare services, please contact Hillstrom Facial Plastic Surgery in Sarasota, Florida, or call our office at 1-941-355-FACE. Our staff will gladly answer any questions your may have, and can help you schedule your private consultation with Dr. Hillstrom or Dr. Wright. Laser therapy targets hair that is actively growing at the time of treatment. The laser removes hair when the hair follicle absorbs the light energy from the laser resulting in the absence of further hair growth. Many laser systems have a built-in cooling apparatus that reduces discomfort and protects the surface of your skin, leaving the surrounding skin unaffected by the treatment. Multiple treatments are necessary. The exact number of treatments is dependent on the anatomic location, color, amount, density and growth rate of each individual’s hair. Exposure to the sun and chronic low-grade inflammation are the primary causes of skin damage. The sun’s damaging effects come from ultraviolet light and heat. Excessive sun exposure can cause skin cancer, wrinkles, dark spots, uneven skin tone, rough texture and broken blood vessels. What we recognize as “aging” is largely due to sun damage. Chronic inflammation of the skin can be a secondary effect of acne, dermatitis, Rosacea, allergies, exposure to weather, bacteria or environmental toxins, smoking, drug or alcohol use. How do we prevent skin damage? Antioxidants protect the body and the skin from free radical damage. Regular application of skin products that contain active Vitamin C, Vitamin E, Green Tea and other potent antioxidants that protect the skin by neutralizing free radicals. Of course, protection with a sunblock is the most important step. A diet rich in antioxidants may also benefit the skin. Other techniques that can significantly improve the health and appearance of your skin include avoiding smoking, hydration and regular exercise. The professional peel process eliminates damage and rejuvenates the skin. Peel products exfoliate and stimulate the skin. Light peels rejuvenate the upper layers of the skin. These types of chemical peels are typically performed by a skin care specialist, such as an esthetician. Medium and deep peels can achieve dramatic results after one or two treatments and are also performed by medical aesthetic professionals. Light peels are usually made of alpha and beta hydroxy acids, such as, Lactic Acid, a by product of milk; Glycolic Acid, a by product of sugar; and Salicylic Acid, from the same source as aspirin. Enzyme peels are very mild made from fruit such as papaya, pumpkin, and grape. The decision about which specific peel or series of peels to have should be made in collaboration with a knowledgeable skin care professional. Together, you can design an effective treatment plan that will give you the results you want – beautiful skin at every age. For optimal results a series of treatments is recommended. Is water important for skin? The human body is primarily composed of water, yet dehydrated skin is common. Weather, sun, and indoor heating all contribute to dehydrated skin. As we age our skin cells hold less water. Smoking, alcohol, sodium and preservatives all draw water out of the skin. It is possible to have very oily skin and still lack adequate moisture. We hydrate the skin in two ways: by the daily application of quality skin products that add and preserve moisture present in the skin, and through the adequate intake of water.